“There are moments, Jeeves, when one asks oneself, ‘Do trousers matter? '” P.G. 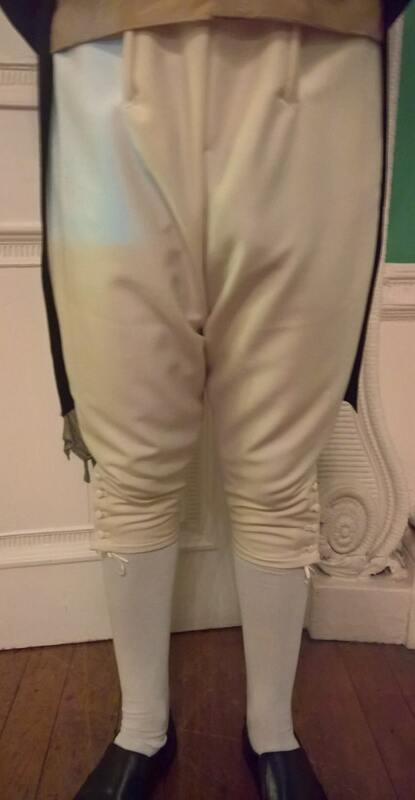 Wodehouse’s Bertie Wooster once remarked and his reliable manservant responded, “The mood will pass, sir.” Without a doubt breeches represent a key part of any pre-Victorian outfit and indeed have not been unknown in following decades since. 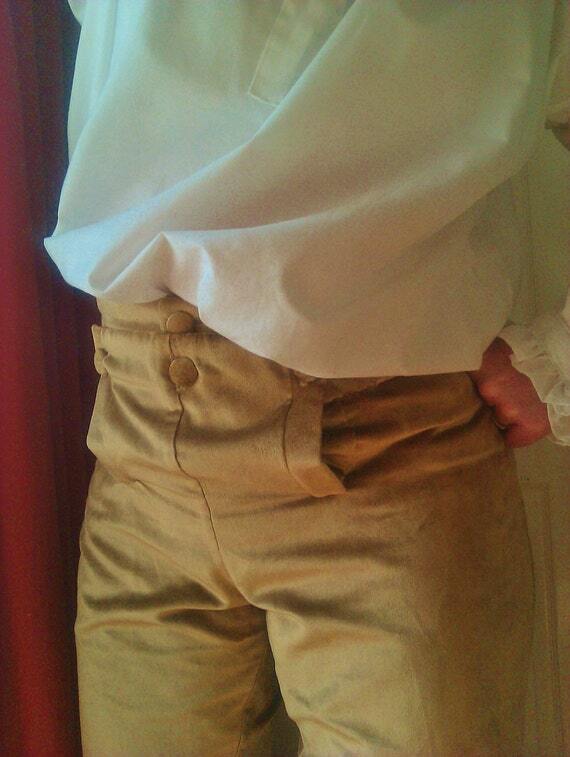 Fortunately the reenactment world is filled with dedicated craftsman who, through the magic of the internet, can hand tailor you any era or design in any fabric you wish for a suprisingly reasonable price. You also benefit from their expertise so that whatever your event you know you will be supplied with an authentic look. Don’t settle for elasticated or false-fastening imitations but try some of these designs made with fabric-covered buttons and a whole lot of care. “Professionally hand sewn and designed by myself – I have over 8 years experience in period dressmaking and have been greatly inspired by the tv period dramas of Jane Austen,” said GownsandGlory. “My design has been to create beautiful Regency replica gowns that look and fit like your real clothes. No ill fitting, fancy dress looking costumes here. As I drew up my patterns, I kept in mind natural, wearable lines that flatter the figure and are comfortable to wear. I take great care in my work from design to finished product and only list items that I myself would be happy to receive. After being inspired by the film Casanova starring Heath Ledger the Costume Rag has ordered from this maker before with impressive results. 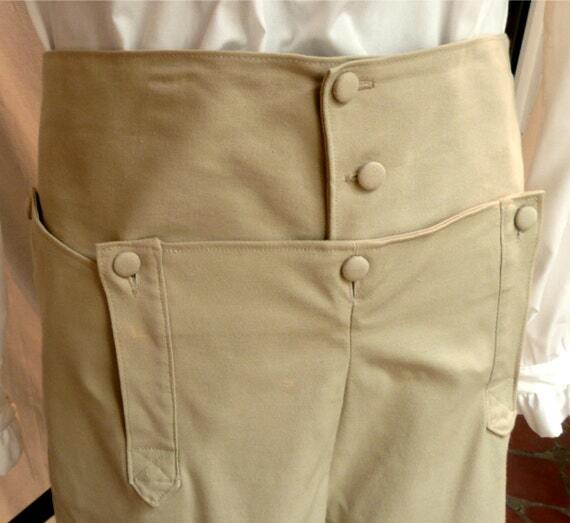 The process was friendly, helpful and quick for a pair of breeches in luxurious tan velvet. 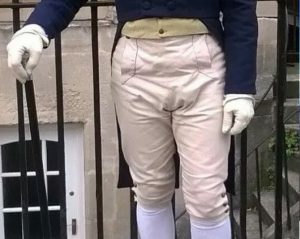 “These fall front breeches are historically accurate in style and construction, and are the perfect addition to your Gentleman’s wardrobe for both the 18th Century and English Regency.” SatinShadowDesigns warns that each pair is custom made to order and so you should allow 2 – 3 weeks for delivery. Click the link to buy or view more. Make sure you check MrsPapendick’s measuring chart! 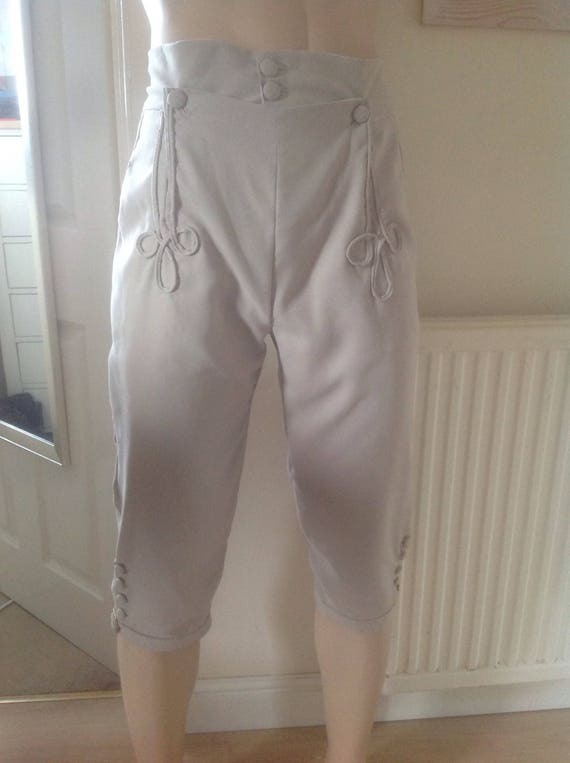 These great breeches are an absolute bargain.